Established in 2016, the Educational Developer Leadership Award is sponsored by the Educational Developers Caucus. Together with the Distinguished Educational Developer Career Award, this award recognizes excellence in educational development in Canada. The Educational Developer Leadership Award recognizes individuals for a specific contribution to the field of educational development in Canada. Established in 2016, the Distinguished Educational Developer Career Award is sponsored by the Educational Developers Caucus. This award recognizes excellence in educational development in Canada. The Distinguished Educational Developer Career Award specifically recognizes individuals with 15+ years of service in educational development who have made significant and lasting contributions to the field of educational development and the EDC community at the local, provincial and national level over the span of their careers. Leading the development of the Educator Enhancement Program at McMaster University. This project, which was informed by a faculty needs assessment, resulted in a significant re-imagining and restructuring of workshop delivery at the MacPherson Institute. The redesigned three-part seminar structure allows faculty to engage more deeply with teaching and learning approaches and has positively impacted participation, resulting in a 100% increase in session attendance. Serving as the EDC Grants Coordinator from 2016 to the present. 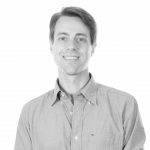 In this role, Kris supports research and innovation in educational development practice across the country. He recruits reviewers, manages the blind peer-review process, informs applicants of their award status, and collects and compiles reports from successful awardees. Chairing the MacPherson Space Committee which, in collaboration with McMaster Facility Services, external architects and contractors, and McMaster University Libraries, resulted in a 1.3-million-dollar renovation of the MacPherson Institute. In the years since the renovation, Kris has consulted with leaders from other teaching and learning centres who seek his insight and advice on space planning and renovations. Co-Chairing of the Council of Ontario Educational Developers (2014 – 2016). Together with other members of the COED executive, Kris was instrumental in establishing the first COED website and in organizing and hosting the Faculty Engagement in Educational Development (FEED) Summit that brought together senior administrators, teaching and learning centre directors, educational developers, and faculty representatives to discuss strategies for promoting faculty engagement in educational development. 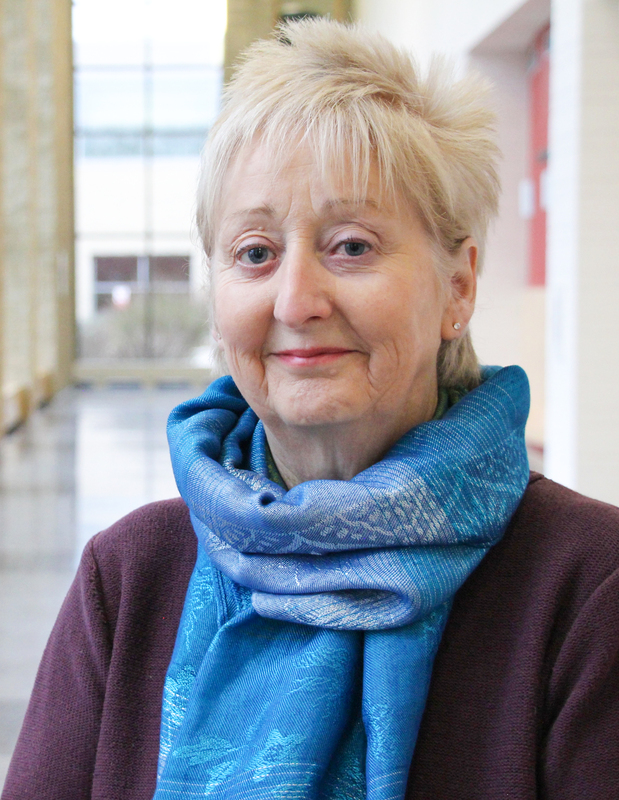 Dr. Jill Grose is the Director for the Centre for Pedagogical Innovation at Brock University. Jill began her educational development career at Brock in 1997, the first staff person in the fledgling Instructional Development Office. 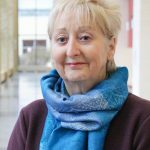 Over her 20+ year career, she has seen educational development grow and has helped foster that growth through her work at Brock University, through her contributions to provincial and national educational development networks, and through her many international engagements and collaborations. In 2012, Jill was the recipient of Brock University’s Human Resources Distinguished Service Award for Leadership and in 2013, she received Brock’s Distinguished Graduate Studies Alumni Award for her contributions to the graduate experience as an administrator, educator, and researcher. Of special note is Jill’s leadership as it relates to the Instructional Skills Workshop (ISW) Network. She currently co-chairs the ISW International Advisory Committee and has been instrumental in the spread of this transformative faculty development program in Ontario and globally. She has mentored numerous ISW facilitators and trainers across the world, particularly in China, and has contributed to ISW-related documentation and scholarship. Her significant contributions to and advocacy for the development of Teaching Assistants at Brock University. As a champion of teaching assistant development, Jill developed the university’s three tiered TA certificate program in 1997 and designed and teaches the graduate course on teaching and learning in higher education. Her doctoral dissertation entitled, “TA Tales: [Re]storying the Teaching and Learning Experiences of University Teaching Assistants”, highlighted TAs’ stories of experience and helped to reaffirm the value of their teaching and learning work on post-secondary campuses. Her contribution to the evolution of teaching and learning policy. 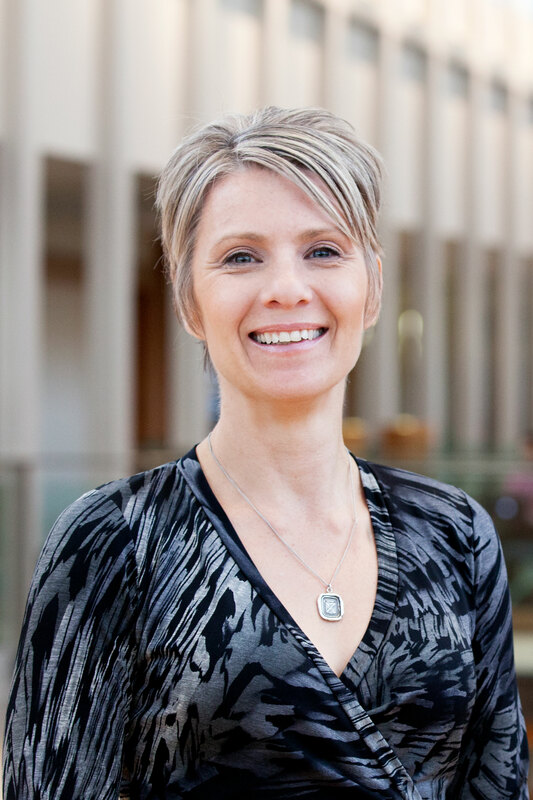 Jill sits on many committees at Brock University, including the Senate Teaching and Learning Policy where she consults on emerging issues related to pedagogy and practice. She is also active in the subcommittee on Classroom Modernization and has been instrumental in the design and development of classroom modernization projects for lecture halls and active learning spaces at Brock University. Jill’s introduction and support of the ISW network within Ontario and abroad. Jill brought the first ISW to Brock University in 2002 and it quickly became a signature program at the Centre for Pedagogical Innovation for both instructors and TAs. Jill’s advocacy and mentorship for ISW led to a rapid expansion of this facilitative and peer-driven approach to instructional development, not only in Ontario colleges and universities but also globally in many institutions in China. She has strengthened the national ISW network by coordinating several ISW institutes in Paris, Ontario, bringing together ISW facilitators and trainers from across Canada to share practices and discuss the future of this transformative professional development model. Jill’s collaborative leadership in the development of indicators for the quality of the teaching culture within post-secondary institutions. In collaboration with eight other Canadian institutions, Jill has contributed to the Institutional Teaching Culture Project. This Social Sciences and Humanities Research Council-funded project seeks to investigate how teaching is supported, assessed and recognized by post-secondary institutions. In March 2018, the Teaching Culture Perception Survey was distributed at Brock University and the results will be used to inform institutional discussions about teaching and learning. Dr. Natasha Kenny is the Direictor of the Educational Development Unit at the University of Calgary’s Taylor Institute for Teaching and Learning. Previously, Natasha served as an Educational Developer, Curriculum Developer, and Manager of Educational and Curriculum Development at the University of Guleph (2007-2014). 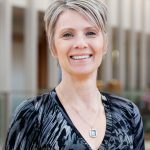 Natasha is well-known within the EDC community and at the University of Calgary for her inspirational leadership. In 2018, she was awarded the University of Calgary’s U Make a Difference Award for her clear commitment to collaboration, communication and the empowerment of others. Her capacity building efforts in curriculum review and development. With the release of the Quality Assurance Framework in Ontario (2010), Natasha developed and implemented curriculum review and development processes and resources grounded in research-informed principles to enable and empower the academic community, including a guide to development and assessing learning outcomes and a learning outcomes website at the University of Guelph. These resources have been openly shared and adapted by colleagues across the national postsecondary landscape. Her contributions to the development of a Teaching Expertise Framework at the University of Calgary. The resulting framework, developed by an interdisciplinary group of academic colleagues across the university, was shared at the 2017 ISSoTL Conference, and with over 100,000 readers on the Faculty Focus blog. It continues to be used to inform discussions about how to develop and provide evidence of teaching. Her work in establishing appointment, tenure and promotion (APT) guidelines for educational developers as academic staff. Natasha led a process to develop APT guidelines for the educational development consultants at the University of Calgary. These are novel appointments within the context of our national and international community, and the guidelines have been shared across our community to inform how to articulate and provide evidence of educational development roles and responsibilities within the academic community. Her wide-ranging and impactful contributions to the Educational Developers Caucus, including her term as Vice-Chair (Communications) in which she led the development of a new EDC website, established social media channels to support member engagement, and contributed to the development of the EDC Values. Natasha also advances strategic national conversations regarding educational development in her current role as coordinator of the EDC’s Teaching and Learning Centre Leaders Action Group. Her commitment to the Scholarship of Teaching and Learning (SoTL) and the Scholarship of Educational Development (SoED). In total, Natasha has led and collaborated on 50 presentations at local, national and international educational development and teaching and learning conferences. She has published 10 peer-reviewed SoED and SoTL articles or book chapters, with 7 more in progress or in press. “is an exceptional and inspiring leader in educational development. Her visionary leadership, capacity building approaches and rigorous scholarly practices make her a national leader in the field and an inspiration to those with whom she works. Natasha is a force for positive energy and change in higher education in Canada. She demonstrates a sincere belief in the power of education for transformation in her daily practices and, in this embodiment of her values, inspires others around her to do the same. Le Réseau de formateurs en pédagogie de l’enseignement supérieur a le plaisir de présenter le lauréat du Prix de leadership pour conseillers pédagogique de l’année 2018. Le Prix de leadership pour conseillers pédagogiques, créé en 2016, est parrainé par le Réseau de formateurs en pédagogie de l’enseignement supérieur. Ce prix, ainsi que le Prix de conseiller pédagogique émérite pour carrière exceptionnelle, récompense l’excellence en développement éducationnel au Canada. Le Prix de leadership pour conseillers pédagogiques récompense les conseillers pédagogiques individuels pour leur contribution spécifique dans le domaine du développement éducationnel au Canada. – À la tête du développement du Programme de renforcement des éducateurs à l’Université McMaster. Ce projet, mis sur pied suite une évaluation des besoins des professeurs, a eu pour résultat la création d’une nouvelle image et d’une restructuration de la manière dont les ateliers sont présentés à l’Institut MacPherson. La nouvelle structure, qui consiste en séminaires divisés en trois parties, permet aux professeurs de s’impliquer plus profondément dans les approches d’enseignement et d’apprentissage. Elle a eu une incidence positive sur la participation aux ateliers, celle-ci ayant augmenté de 100 %. – Coordinateur des bourses du Réseau des formateurs en pédagogie de l’enseignement supérieur depuis 2016. Dans ce rôle, Kris apporte son soutien à la recherche et à l’innovation en pédagogie d’un bout à l’autre du pays. Il recrute les examinateurs, dirige le processus d’évaluation anonyme par les pairs, informe les candidats de leur statut par rapport au prix et il rassemble et compile les rapports pour les lauréats. – Président du comité des espaces de l’Institut MacPherson. Le travail de ce comité, en collaboration avec les services d’équipement de McMaster, avec des architectes et des entrepreneurs externes, ainsi qu’avec les bibliothèques de l’Université McMaster, a abouti à la rénovation de l’Institut MacPherson pour un coût de 1,3 million de dollars. Au cours des années qui ont suivi la rénovation, Kris a offert ses conseils à des dirigeants d’autres centres d’enseignement et d’apprentissage qui souhaitaient avoir son aide et ses conseils sur l’aménagement des espaces et la rénovation. – Co-président du Conseil des conseillers pédagogiques de l’Ontario (COED) (2014-2016). En collaboration avec d’autres membres du comité exécutif du COED, Kris a joué un rôle important pour créer le premier site web du COED et pour organiser et accueillir le Sommet sur la mobilisation des professeurs en développement éducationnel (FEED) qui a réuni des représentants de la haute administration, des directeurs de centres d’enseignement et d’apprentissage, des conseillers pédagogiques et des professeurs pour discuter de stratégies visant à promouvoir la mobilisation des professeurs en développement éducationnel. Le Réseau de formateurs en pédagogie de l’enseignement supérieur est ravi de présenter les lauréates du Prix de conseiller pédagogique émérite pour carrière exceptionnelle de l’année 2018. Le Prix de conseiller pédagogique émérite pour carrière exceptionnelle, établi en 2016, est parrainé par le Réseau de formateurs en pédagogie de l’enseignement supérieur. Ce prix, ainsi que le Prix de leadership pour conseillers pédagogiques, récompense l’excellence en développement éducationnel au Canada. Le Prix de conseiller pédagogique émérite pour carrière exceptionnelle reconnaît spécifiquement les personnes ayant 15 ans ou plus de service en développement éducationnel qui ont apporté des contributions significatives et durables dans le domaine du développement éducationnel et dans la communauté des formateurs en pédagogie de l’enseignement supérieur aux niveaux local, provincial et national tout au long de leur carrière. Jill Grose, PhD, est directrice du Centre pour l’innovation en pédagogie de l’Université Brock. Jill a débuté sa carrière en développement éducationnel à l’Université Brock en 1997, où elle a été la première membre du personnel du Bureau de développement pédagogique nouvellement créé. Tout au long de sa carrière de plus de 20 années, elle a vu le développement éducationnel grandir et a participé à favoriser cette croissance grâce à son travail à l’Université Brock, grâce à ses contributions aux réseaux de développement éducationnel provinciaux et nationaux, ainsi que par le biais de ses nombreuses activités et de ses collaborations internationales. En 2012, Jill a obtenu le Prix pour services exceptionnels des ressources humaines de l’Université Brock pour son leadership et en 2013, elle a obtenu le Prix émérite des anciens élèves des études supérieures de l’Université Brock pour ses contributions à l’expérience au niveau des études supérieures en tant qu’administratrice, éducatrice et chercheur. Il faut remarquer tout particulièrement le leadership de Jill en ce qu’il se rapporte au Réseau des ateliers de compétences en pédagogie (Instructional Skills Workshop Network- ISW). À l’heure actuelle, elle est co-présidente du comité consultatif international du réseau ISW et a joué un rôle important dans la propagation de ce programme transformateur de développement des enseignants en Ontario et dans le monde. Elle a joué le rôle de mentor pour de nombreux animateurs et formateurs du réseau ISW dans le monde entier, tout particulièrement en Chine, et elle a contribué à la documentation et à l’avancement des connaissances concernant le réseau ISW. – Ses contributions significatives et son travail de sensibilisation concernant le développement professionnel des chargés de cours à l’Université Brock. En tant que championne du développement professionnel des chargés de cours, Jill a mis sur pied, en 1997, le programme de certificat à trois niveaux pour les chargés de cours de l’université et elle a créé et enseigné le cours de 3e cycle sur la pédagogie dans l’enseignement supérieur. Sa thèse de doctorat, intitulée « TA Tales: [Re]storying the Teaching and Learning Experiences of University Teaching Assistants », a mis en valeur les récits des expériences de chargés de cours et a aidé à réaffirmer la valeur de leur travail d’enseignement et d’apprentissage dans les établissements d’enseignement post-secondaire. – Sa contribution à l’évolution des politiques sur la pédagogie. Jill est membre de nombreux comités à l’Université Brock, y compris membre du comité du Sénat sur les politiques sur la pédagogie où elle mène des consultations sur des préoccupations nouvelles liées à la pédagogie et à la pratique. Elle est également active au sein du sous-comité sur la modernisation de la salle de classe et elle a joué un rôle important dans la conception et le développement de projets de modernisation de la salle de classe concernant les salles de conférences et les espaces pour l’apprentissage actif à l’Université Brock. – L’introduction et le soutien que Jill apporte au réseau ISW en Ontario et à l’étranger. Jill a apporté le premier réseau ISW à l’Université Brock en 2002 et celui-ci est rapidement devenu un programme emblématique au sein du Centre pour l’innovation pédagogique à la fois pour les instructeurs et pour les chargés de cours. Ses activités de mentorat et de sensibilisation pour le réseau ISW ont abouti à une expansion rapide de cette approche facilitatrice dirigée par les pairs pour le développement pédagogique, non seulement dans les collèges et les universités de l’Ontario mais également à l’échelle mondiale dans de nombreux établissement en Chine. Jill a renforcé le réseau ISW national en assurant la coordination de plusieurs instituts ISW à Paris, Ontario, et en réunissant des animateurs et des formateurs en ISW de tous les coins du Canada afin que ceux-ci partagent leurs pratiques et discutent de l’avenir de ce modèle de développement professionnel transformateur. – Le leadership en collaboration de Jill pour le développement d’indicateurs de la qualité de la culture de l’enseignement au sein des établissements d’enseignement post-secondaire. En collaboration avec huit autres établissements d’enseignement canadiens, Jill a contribué au Projet de culture institutionnelle de l’enseignement. Ce projet, subventionné par le Conseil de recherches en sciences humaines, a pour objectif d’examiner la manière dont l’enseignement est soutenu, évalué et reconnu par les établissements d’enseignement post-secondaire. En mars 2018, le questionnaire intitulé « Enquête sur la perception de la culture de l’enseignement » a été distribué à l’Université Brock et les résultats serviront à éclairer les discussions institutionnelles sur l’enseignement et l’apprentissage. Natasha Kenny, PhD, est directrice de l’Unité de développement de la pédagogie de l’Institut Taylor d’enseignement et d’apprentissage, à l’Université de Calgary. Avant cela, Natasha a été conseillère pédagogique, elle a assuré le développement de programmes de cours et elle a dirigé le service de développement éducatif et des programmes de cours à l’Université de Guelph (2007-2014). Natasha est bien connue pour son leadership inspirant, tant au sein de la communauté du RFPES qu’à l’Université de Calgary. En 2018, elle a reçu le Prix « Make a difference » de l’Université de Calgary pour son engagement clair envers la collaboration, la communication et l’autonomisation des autres. – Ses efforts en matière de renforcement des capacités dans l’examen et le développement de programmes de cours. Avec le lancement du Cadre d’assurance de la qualité en Ontario (2010), Natasha a développé et mis en oeuvre un processus pour l’examen des programmes de cours et leur développement, ainsi que des ressources fondées sur des principes basés sur la recherche afin de favoriser et d’autonomiser la communauté universitaire, y compris un guide pour le développement et l’évaluation des résultats d’apprentissage ainsi qu’un site web contenant les résultats de l’apprentissage à l’Université de Guelph. Ces ressources ont été largement partagées et adaptées par des collègues d’un bout à l’autre du paysage national de l’enseignement post-secondaire. 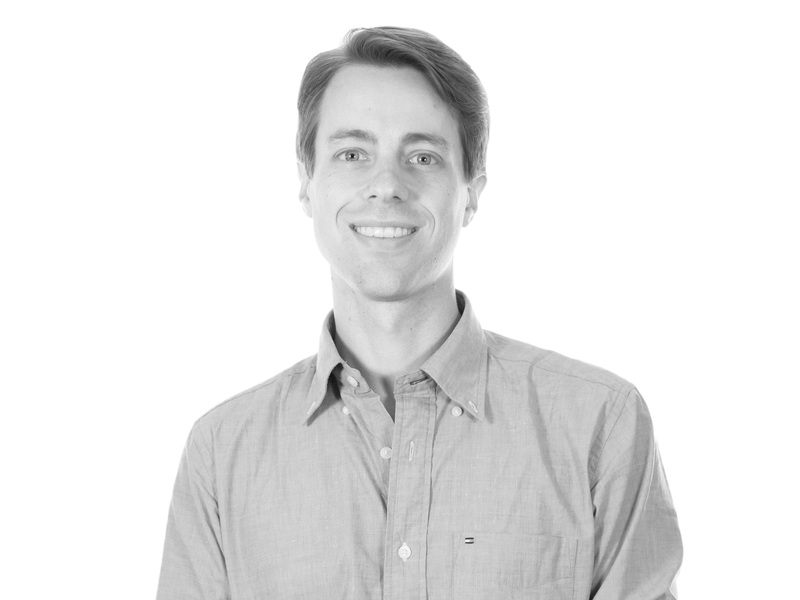 – Ses contributions au développement d’un Cadre d’expertise en enseignement à l’Université de Calgary. Le cadre qui a résulté de cette activité, mis sur pied par un groupe interdisciplinaire de collègues universitaires de tous les secteurs de l’université, a été partagé lors du Congrès de 2017 de la ISSoTL et plus de 100 000 lecteurs l’ont consulté sur le blogue de discussion des professeurs. Il continue à être utilisé pour guider les discussions sur la manière de développer et de fournir des preuves de l’enseignement. – Son travail pour établir les lignes directrices concernant la nomination, la permanence et la promotion des conseillers pédagogiques en tant que personnel universitaire. Natasha a dirigé un processus pour mettre sur pied les lignes directrices concernant la nomination, la permanence et la promotion des conseillers pédagogiques à l’intention des consultants en la matière à l’Université de Calgary. Ces nominations sont nouvelles dans le contexte de notre communauté nationale et internationale et ces lignes directrices ont été partagées d’un bout à l’autre de notre communauté pour informer les intéressés sur la manière d’articuler et de fournir les preuves des rôles et des responsabilités des conseillers pédagogiques au sein de la communauté universitaire. – Son large éventail de contributions percutantes au Réseau des formateurs en pédagogie de l’enseignement supérieur, y compris son mandat en tant que vice-présidente (Communications) au cours duquel elle a dirigé le développement d’un nouveau site web du RFPES, elle a établi des canaux de médias sociaux afin de soutenir la participation des membres et elle a contribué au développement des valeurs du RFPES. Dans son rôle actuel de coordinatrice du Groupe d’action des leaders des centres de pédagogie du RFPES, Natasha a également fait avancer les conversations stratégiques nationales concernant de développement éducationnel. – Son engagement envers l’Avancement des connaissances en enseignement et en apprentissage (ACEA) et envers l’Avancement des connaissances en pédagogie (ACP). Au total, Natasha a dirigé et collaboré à 50 présentations lors de congrès locaux, nationaux et internationaux sur le développement éducationnel et sur l’enseignement et l’apprentissage. Elle a publié 10 articles ou chapitres de livres évalués par les pairs sur l’ACP et l’ACEA et 7 autres sont en cours de préparation ou sous presse.